Litter collecting on the banks of the Yarra River under the Westgate Bridge was more random, less systematic, than in previous years. I went down there when I could and set the timer for thirty minutes. Polystryrene was overwhelmingly the most abundantly found item. It’s between every rock and hard place in individual balls, clusters and weathered chunks. In spite of my intention to pick up litter as a mindful practice, this year I developed an intense aversion for the plastic soya sauce fish container – finding at least 5 each week in just 25m of beach. The river bank at Westgate Park has received the attention of other cleaners this year because of its high profile location close to the confluence of the Maribyrnong and the Yarra and the river entrance. Friends of Westgate Park hosted several site clean ups. Willing volunteers scoured the River bank clean and ended the day with a sense of housekeeping satisfaction. And then the rain comes and it’s as if they had never been there. Persistence and patience are called upon. Confidence in the whole business of recycling was undermined when a fire of stockpiled material at SKM’s recycling facility at Coolaroo burned for several days in July. In July, Woolworths, followed closely by Coles, undertook to phase out single use plastic bags within 12 months. On October 18th, Environment Minister Lily d’Ambrosio announced the government’s intention to ban single use plastic bags. 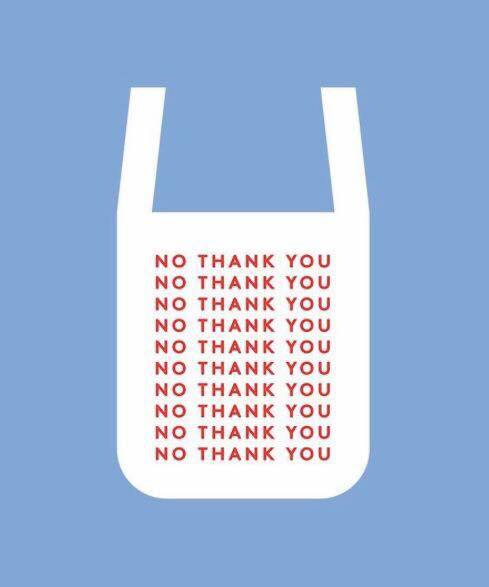 Comments are invited on the plastic bag ban until 25 January. 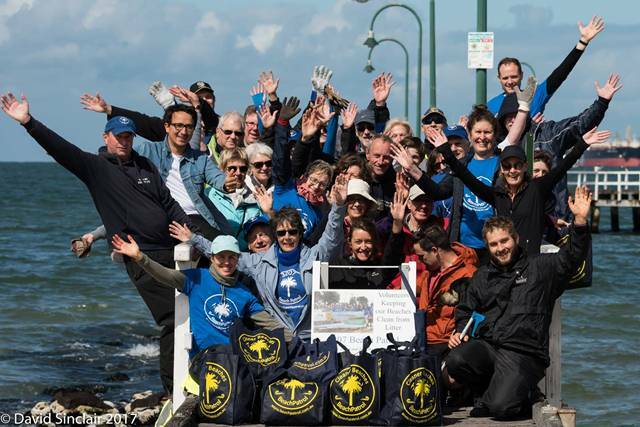 In March, friends joined Ross and Ramona Headifen to celebrate their 365 days of collecting plastic litter off a beach in Port Melbourne. They collected and audited 126,000 pieces of plastic that had washed out of the Bay. Rather than putting a line under that painstaking achievement, they decided to keep going and add another year to their study area. ​On 12 December, at day 198 of 365, they have recorded 55,329 plastic pieces carefully catalogued by size and type. As they go, the Headifens are getting an ever clearer understanding of the relationship between wind, weather events, and plastic litter. 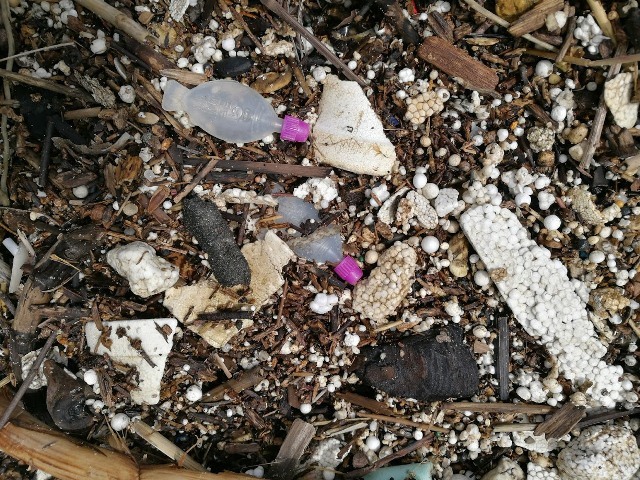 Their meticulous surveying gives a detailed picture of the composition of beach litter and is irrefutable evidence to put before decision makers. Read the detailed results here. The Beach Patrol movement goes from strength to strength with 24 groups around the Bay at the close of 2017, up from 14 in 2014. More people join 3207 Beach Patrol’s cleans each month – all in good spirit. Many of those Beach Patrollers can’t go for a walk now without picking up litter along the way and modifying their plastic use. There is nothing like seeing the same items crop up again month on month to turn your mind to the source of the problem. People are inspired by Ross and Ramona and join in their dedication to love the Bay. Firm friendships are formed, rich conversations held. Everybody knows that cleaning the beach is an ‘end of pipe’ approach and that solutions lie up the catchment and at the source. With this idea in mind, Love Our Streets groups in Port Melbourne, Elwood and Caulfield have begun a monthly clean of areas around shopping strips. Mandy Burns has been the galvanising force behind getting Boomerang Bags going in Port Phillip. From the first EOI meeting in March, monthly sewing bees have been held alternately in Port Melbourne and Elwood. 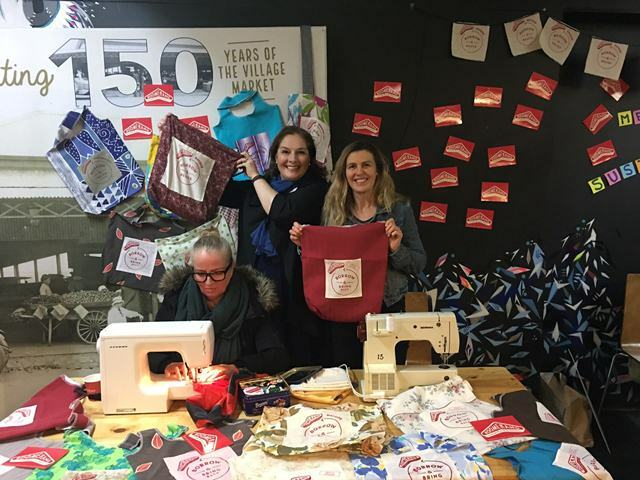 They have made (upcycled from donated materials) and shared 1,871 Boomerang Bags to the South Melbourne Market, About Life in Port Melbourne and the Leaf Store in Elwood. Look out for the bags near the South Melbourne Market office or in the deli aisle. BB Port Phillip is in turn part of the Boomerang Bag movement around the world. This year 15 cafes in Port participated in #thelastplastic straw, a trial to replace plastic with paper straws. Will the effort be sustained as personnnel change? The test will be the profile of straws in next year’s litter collection. 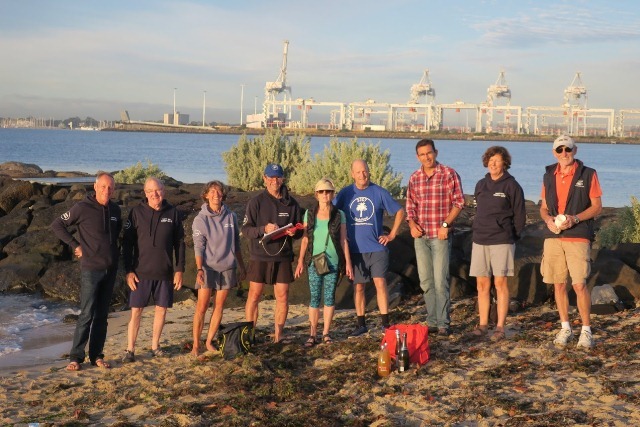 This year collaborations have strengthened between the Port Phillip EcoCentre, the Yarra Riverkeeper, Tangaroa Blue and Beach Patrol to influence policy making. Refusing – the soya sauce fishy, the plastic straw, the plastic bag, the take away coffee cup, the plastic water bottle – is easily the simplest, cheapest and most effective action of all. As you can see, there is a huge amount of positive community action on litter and waste. My observations from the River bank suggest that much more than a plastic bag ban will be needed to make a dent in the plastic litter problem. That Yarra River beach will be my barometer of change.